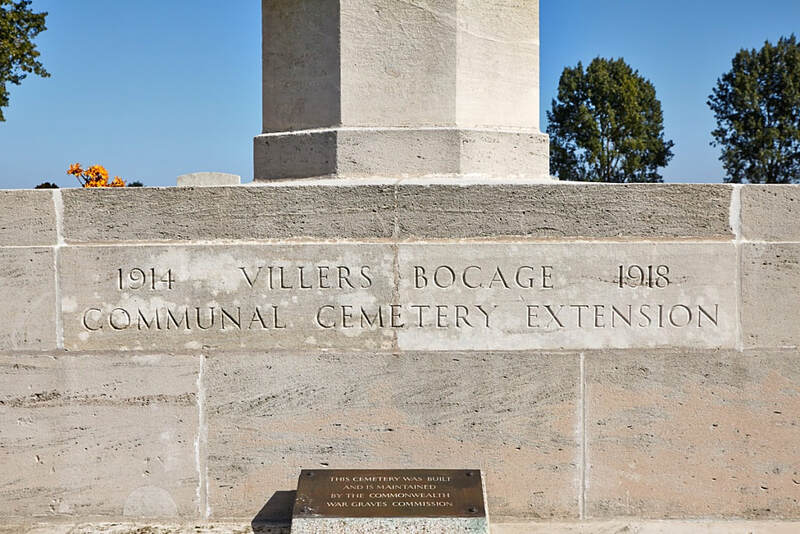 Villers-Bocage is a village 12 kilometres north of Amiens on the road to Doullens. Villers-Bocage Communal Cemetery Extension is about 1.5 kilometres north of the village, and a little distance north of the secondary road from Villers-Bocage to Rubempre. Commonwealth War Graves Commission signposts are located in the centre of the village. 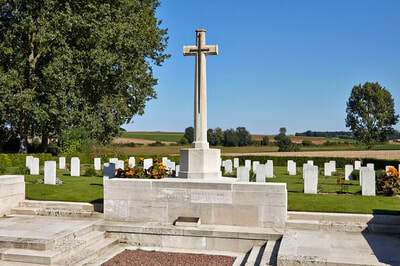 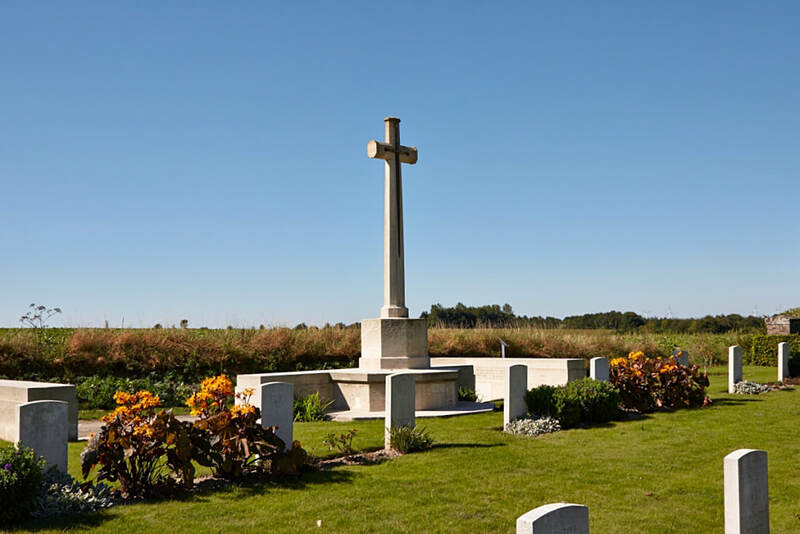 The Communal Cemetery Extension contains 60 Commonwealth burials from the First World War and 2 Commonwealth burials from the Second World War. 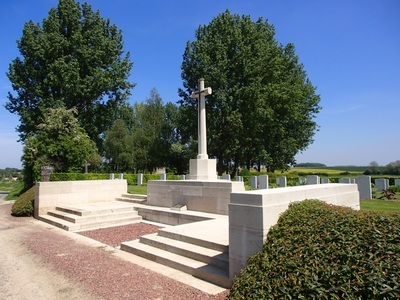 The 51st (Highland) Casualty Clearing Station was posted near the village in April and May 1916. 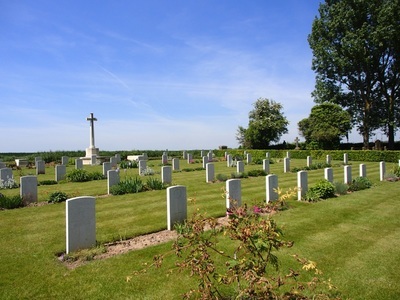 The extension to the south side of the communal cemetery was begun in October 1915 and used until February 1917. The extension contains 60 Commonwealth burials of the First World War. There are also two Second World War burials. 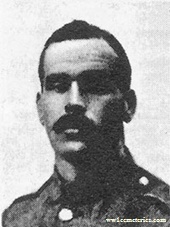 2nd December 1915, aged 27. Son of Mr. and Mrs. John MacCallum, of 5, Limekiln Rd., Tam's Brig, Ayr. 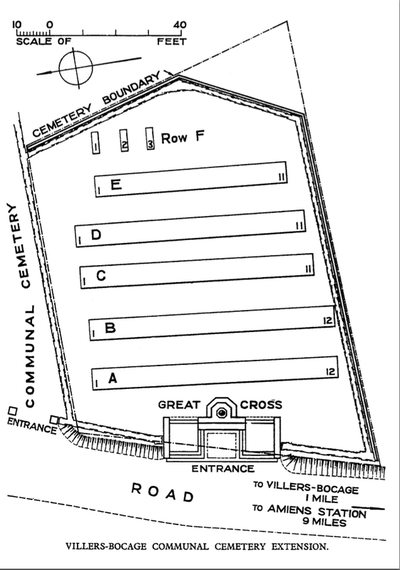 Native of Campbeltown.